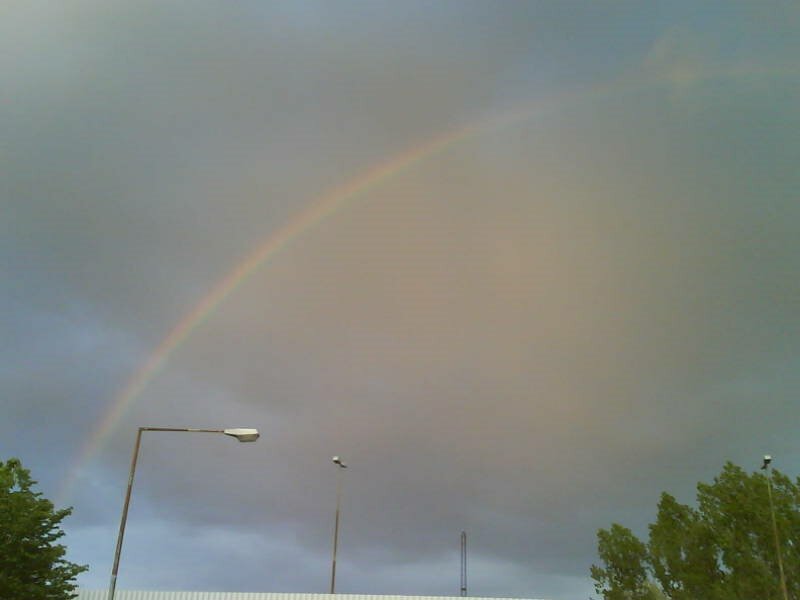 Just now there was a wonderful rainbow, it was a complete rainbow across the sky. It really was an amazing sight. And this picture doesn't do it justice. Now it's already completely vanished.